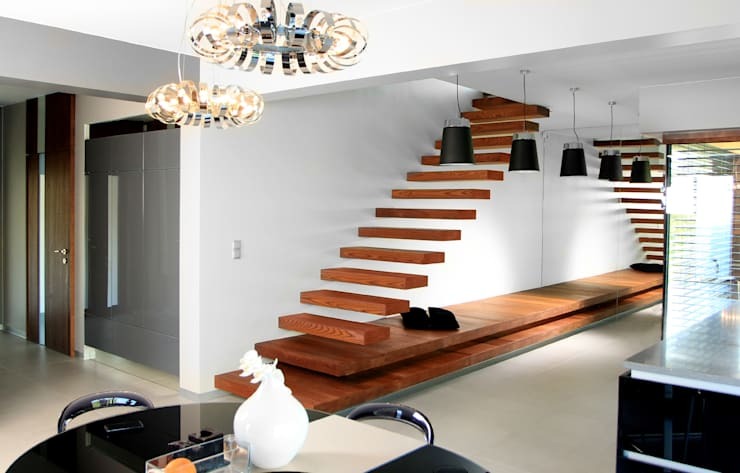 Forget staircases that have been created to simply ascend and descend levels within a dwelling; these stairs are incredibly unique, and a household feature in their own right! 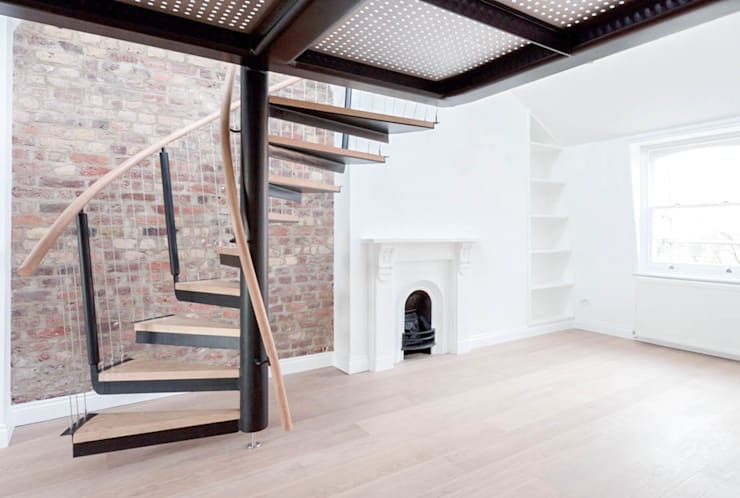 Owing to the creativity of some highly skilled architects and designers, a simple set of stairs is no longer the perfunctory item it might have once been. 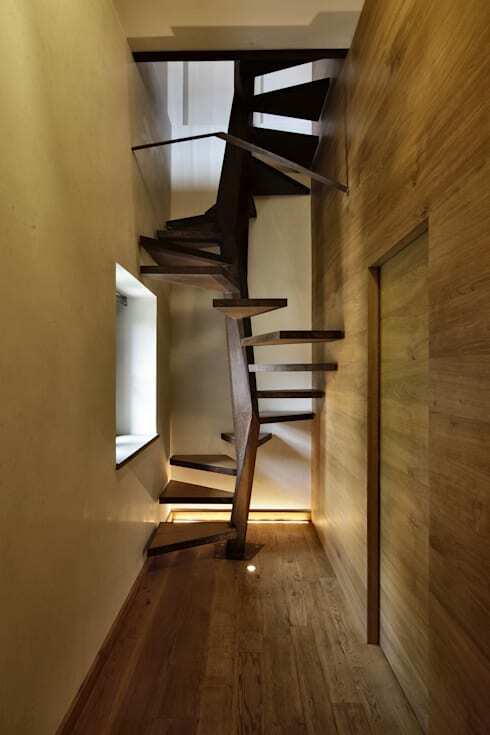 These days stairs are eye-catching pieces, which bring interest and originality to the dwellings they reside within. 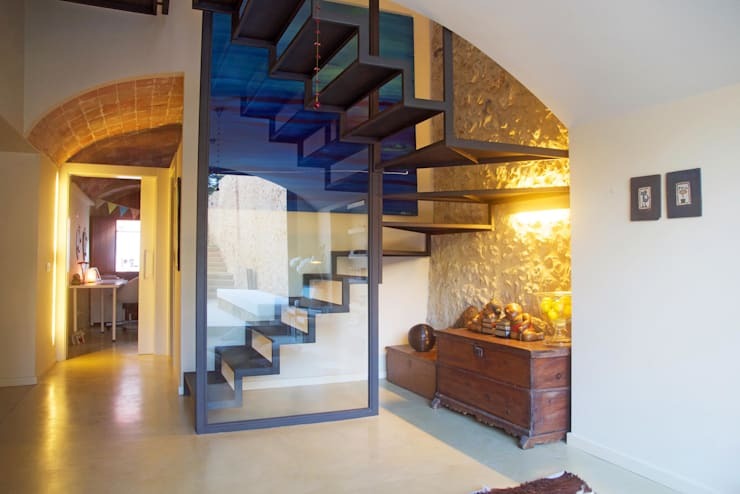 Today on homify we're bringing you 10 creative staircases that are sure to leave you amazed! To check them out, read on below and redefine your knowledge and idea of what the humble staircase can be. Additionally, gain some domestic inspiration and ideas by peeking inside these innovative and creative interiors. 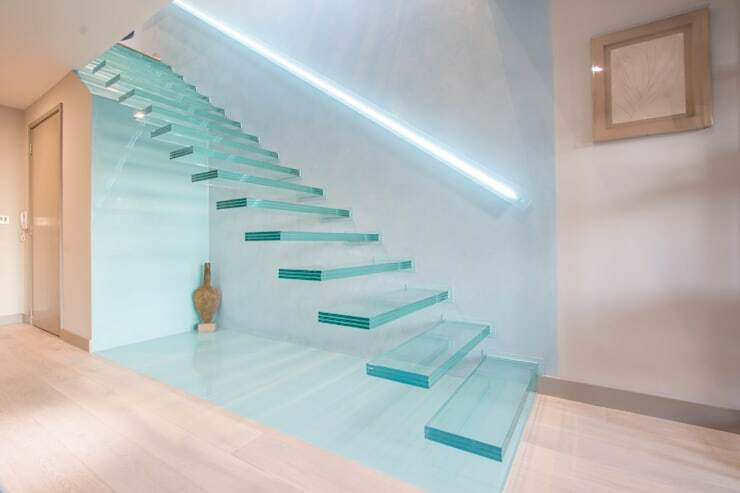 Featuring laminated, tempered glass, this unbelievable staircase kicks off our list at number 1. With the absence of a handrail, this floating ladder possesses an illuminated wall rail that lightens the space as well as assisting those utilising the stairs. 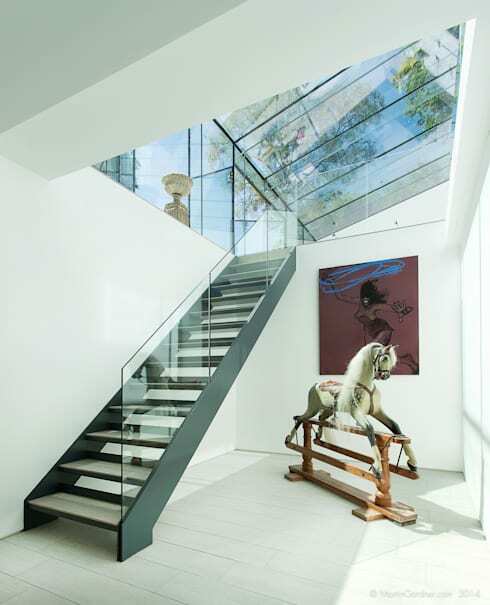 For number 2 on our list we take a look at a stone composite staircase that is set within beautiful, black-framed glass walls and large skylights. Making full use of natural light to enhance the elements and features within the space, the contrasting hues, as well as the minimalism of the staircase, give an impressive result for the dwelling. In this example we see the classic combination of timber steps with the addition of black ironwork. Effortlessly chic, this provides an excellent composition of features within the room, making for an elegant and beautifully assembled room. Next up we have a great example of how to decorate a space with ample natural light, working with the presence of shadows to create an interesting gallery-style environment. 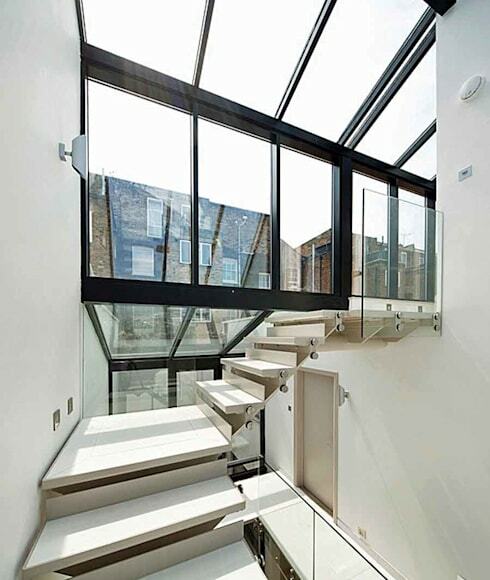 The industrial-style staircase is complemented by glazed side balustrades, providing integration within the two spaces. The simplicity of the staircase's lines and their perpendicular position against the glazed ceiling make the environment appear as though it is a beautiful art gallery. 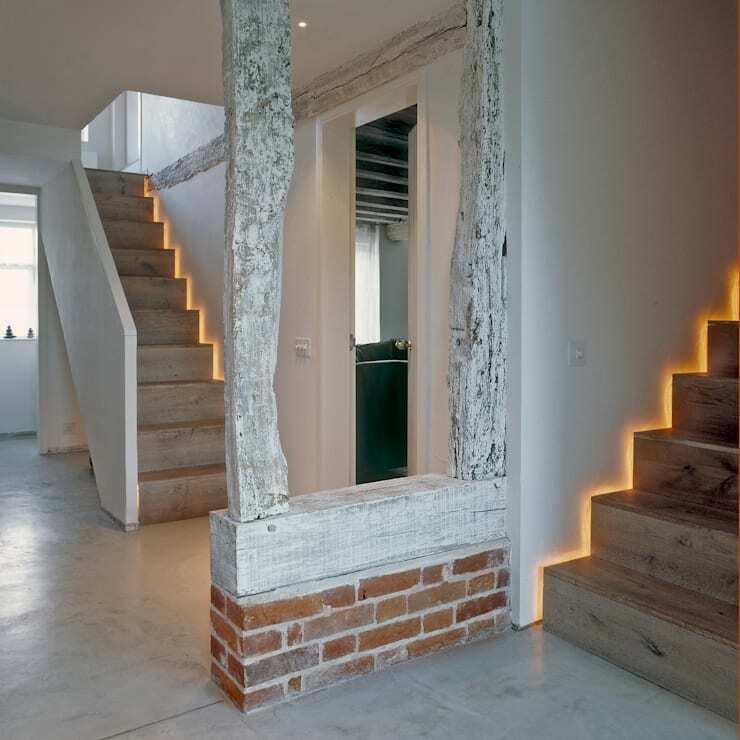 To add a subtle mood and ambience within this space, LED lamps have been embedded in the gap between the steps and the adjacent wall. The result is incredibly magical, and works beautifully to evoke a feeling of warmth and hospitality. 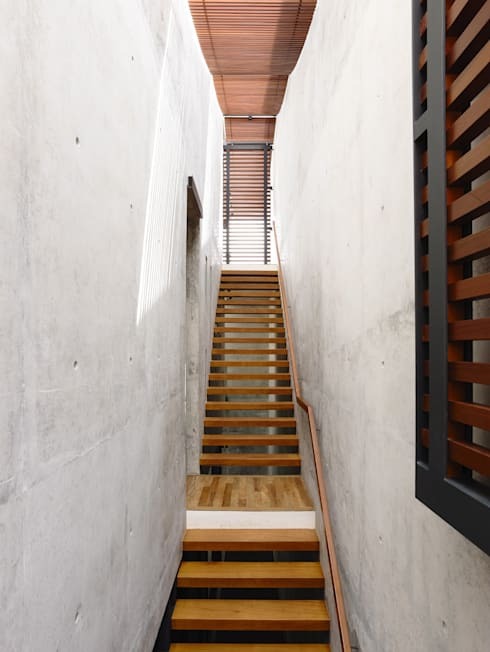 From Hyla Architects we see this incredibly narrow staircase that has been created from timber to work as a warm comparison against the two concrete walls. If you are working with an awkward space and you require some expert advice or assistance, chat to a professional via the homify website today! Appearing to float, each section of this staircase is installed into the wall adjacent, giving the impression that it is simply levitating. A feature in their own right, these stairs are minimal, avoiding any negative impact on the surrounding décor and design. Staircases, while often perfunctory, also provide internal areas of the home with a feature and standout design element that helps to increase both the practicality and style of the space. This grand example is a perfect demonstration, improving the room's aura and ambience, while also ensuring there is an easy way to ascend and descend between floors. A beautiful combination of modernity and tradition, this staircase ticks all the boxes when it comes to attention-grabbing design. We adore the juxtaposition of old and new in this space, which creates an ambience of originality and renewal. Resembling a tree as it spouts from the timber floorboard below, this impressive example is intriguing and unique. Ideal for compact areas of the home, the designers have created an organic eye-catching feature for this narrow internal space. 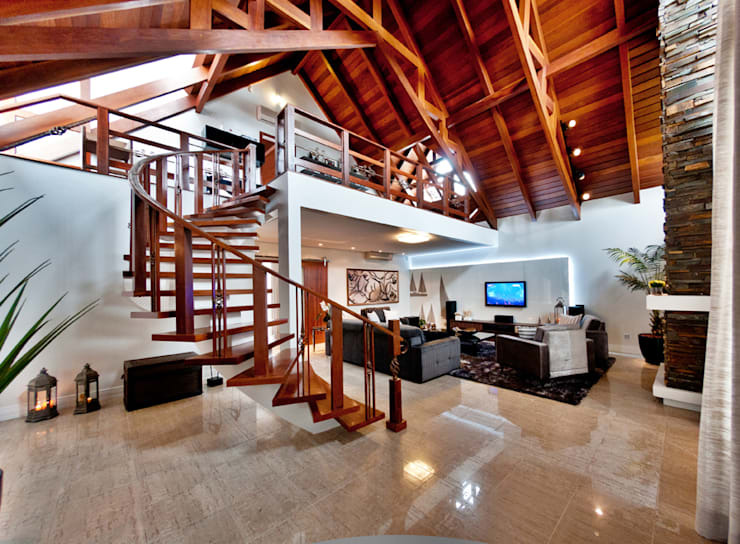 Which staircase do you think is the most successful and amazing design? Let us know in the comments below!